Boardroom Diversity: When Women Lead - Duffy Group, Inc.
Women now hold 20.8% of the board seats of publicly traded companies, exceeding 2020 Women on Boards’ 20% national campaign goal, according to this year’s Gender Diversity Index of Fortune 1000 Companies recent study. The Gender Diversity Index (GDI) has tracked the number of women on boards since 2011 using the Fortune 1000 (F1000) list from 2010 as a baseline of comparison. This year, the GDI is comprised of 801 active companies. Companies fall off the list each year due to sales, mergers, bankruptcies, and other variables. 2020 Women on Boards ranks companies on a “W” (Winning) to “Z” (Zero) scale. Winning “W” Companies have 20% or greater women on their boards; Very Close “V” Companies have 11-19% women on their boards; Token “T” Companies have one woman; and, Zero “Z” Companies have no women. Founded in Boston in 2010, 2020 Women on Boards is the national campaign to increase the percentage of women on U.S. company boards to 20% or greater by the year 2020. 2020 Women on Boards is known for its research on the gender composition of boards of directors, including its proprietary 2020 Gender Diversity Directory, which ranks nearly 2000 companies on a “W” (winning) to “Z” (zero) scale. The 2020 Women on Boards National Conversation on Board Diversity recently took place in 19 cities across the US and Europe. According to the report, between 2016 and 2017, over half of the GDI companies changed the composition of their boards. One hundred and twenty-nine companies added women, accounting for 140 board seats. Over the same time period, 134 companies added men, accounting for 167 board seats. Men lost more board seats than women: 350 seats in 247 companies (men) compared with 73 seats in 68 companies (women). Overall women had a net gain of 67 board seats, while men had a net loss of 183 seats. These findings do not account for companies that replaced men with men or women with women, which would indicate an even greater rate of board turnover. Of the 129 companies that added women to their boards, 69 did so by increasing the size of their boards. This trend, which 2020WOB first observed in 2012, shows that many companies are increasing the size of their boards to accommodate women directors rather than waiting for men to vacate their seats. Diversity in the boardroom is a global priority of those responsible for board development in major corporations. 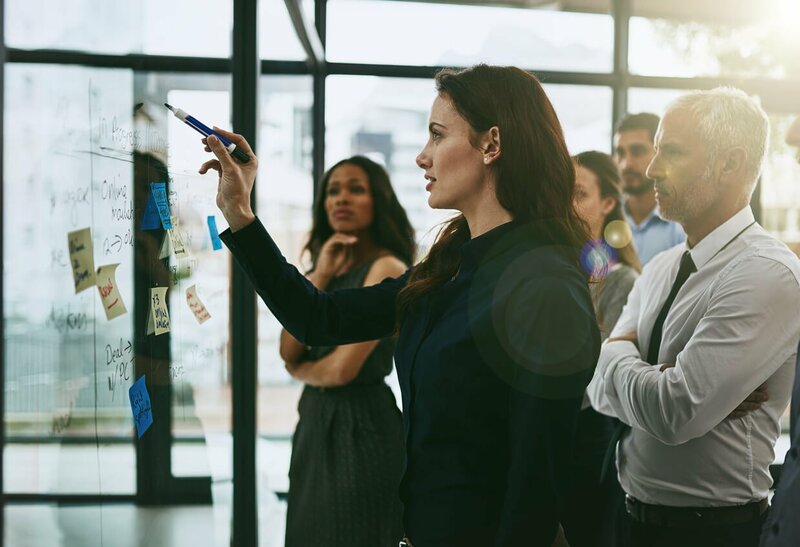 The results of research conducted by Women In the Boardroom (WIB – New York, NY), shows that women are motivated by the challenge of corporate board service and are encouraged by the growth of resources available to help facilitate their success. A new report also finds that companies led by women create more opportunities for women directors than their male counterparts. The study, Boardroom Diversity: When Women Lead, looks at the board composition of 960 companies on the 2015 Fortune 1000 list, and reveals a strong correlation between the gender of a company’s key leaders and the diversity of its board of directors. Register your support for the campaign here. This groundswell of support will help show corporate board nominating committees that consumers care about board diversity. Make an individual or corporate donation to help support the campaign. Publicize the issue and the campaign via social media. Make sure to “Like” 2020 Women on Boards on Facebook, join the 2020 Women on Boards group on Linked In, and “Follow” @2020WOB on Twitter. Tweet about the companies that get it and question the ones that don’t. Become a recruiter. Enlist your friends, family, and colleagues to support the campaign. Recruit 20 people to register their support on the website. Research the board composition of your employer. Does the company where you work (public or private) have 20% or greater women on their board of directors? If not, ask why not? If there’s only a single woman director, ask the CEO to consider appointing a second woman, and possibly a third or fourth. Make educated decisions about future employment. Looking for a job? Identify socially responsible companies that support women’s advancement by looking at the gender composition of the board and senior management. Vote your proxy. If you’re an individual investor, find out how many women serve on the boards of the companies where you own stock. If there are no women directors, ask why not? In addition, make sure you vote for shareholder resolutions on board diversity and for slates that include women. Help build the database of companies. Send 2020 Women on Boards the names of companies that have 20% or more women directors. They’ll add their names to the “W” (winning) company database. Take the 2020 Challenge. Encourage your friends to take the 2020 challenge each month and congratulate the companies that “get it” and encourage the companies that don’t to add women to their boards. Host an event. If you’re a member of a club or group, make a presentation about the 2020 Women on Boards campaign. WOB provides a 2020 presentation kit with local statistics and giveaways. Be a spokesperson. Help spread the word about the campaign by speaking about the topic.